Zee 24 Ghantalu has done it again. The ``Nijam Nippulaanti Channel'' has bagged two prestigious awards constituted by Indian television.com. 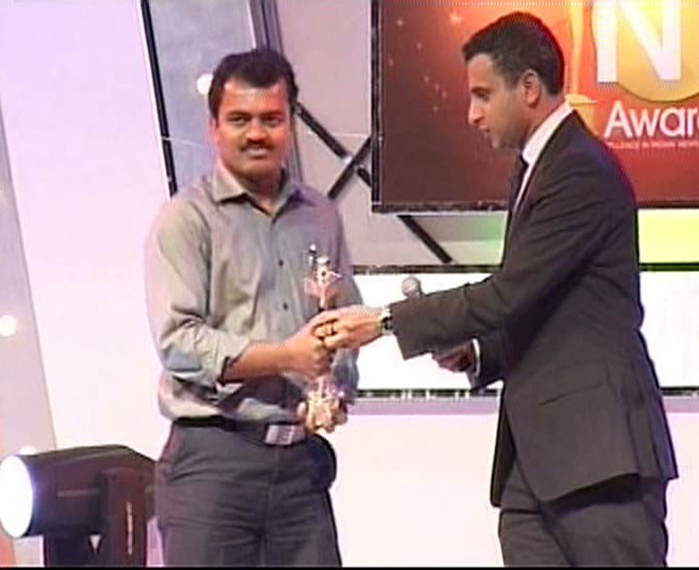 Zee 24 Ghantalu bagged award for Big Story – a news-based talk show. The topic was ``Role of youth in 125 years of Congress Party.'' The Zee 24 Ghantalu Channel Head R.Shailesh Reddy not only conceived the show but has taken the show to new heights with every episode with his thought provoking insights and solid analysis. The channel bagged second award for Zee Special, a programme based on current affairs. The topic was ``Thappu yevaridi'' ( who's wrong ) on the Telangana issue. For the first time, the Indian television.com has invited entries from Telugu news channels. Seven leading Telugu news channels sent their entries. For two days the panel of judges saw various entries that came in for different categories and adjudged the winners. Zee 24 Ghantalu thanks its viewers and promises that the channel will always be with the people, for the people and by the people. Shailesh Reddy and Delhi Reporter Suresh received the National Awards.